Naturopathy covers a spectrum of natural healing methods and homeopathy is part of that spectrum. A homeopath will concentrate their years of study on one medical system, whereas naturopathic studies look at a variety of natural methods. 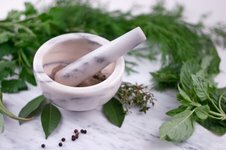 Homeopathic medicines themselves are different from naturopathic herbal remedies in that they have been diluted to a micro-dose of their original substance.